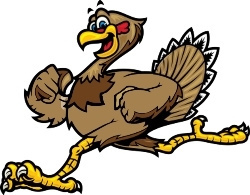 I ran track in high school and college and have always enjoyed running, so I got very excited when I heard there was a Team Sjögren’s Turkey Trot fundraising event. I had always wanted to participate in these events and once I knew I could bring awareness and raise money for Sjögren’s, I wanted to do it right away. My doctor continuously talks to me about keeping up with my physical fitness, not only for my personal wellbeing but to help fight off sickness that Sjögren’s patients are prone to and I thought joining Team Sjögren’s was a way to accomplish that. 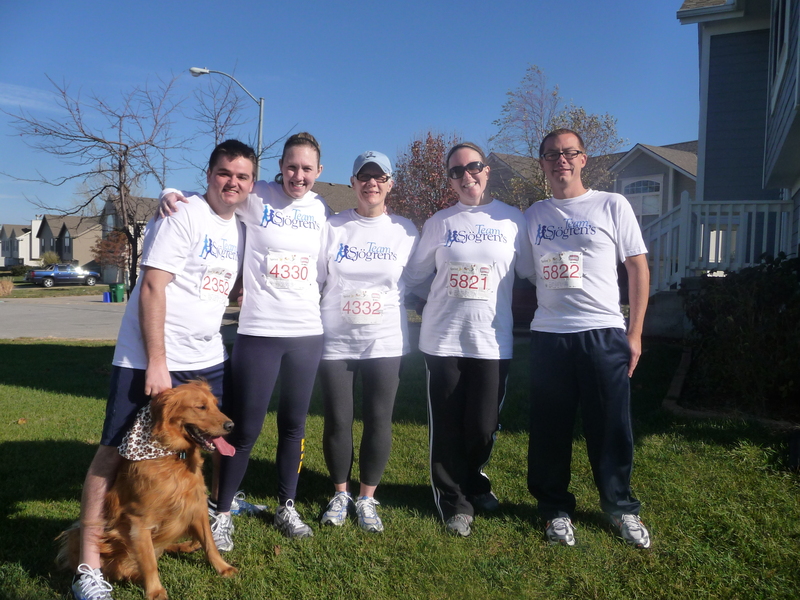 Once I decided to run, my husband, Mom, older sister, and her husband, chose to run with me. Running for long periods of time was definitely difficult and I’m finding my recovery time to be much longer as I get older. I don’t bounce back the way I used to. However, when I was running the race, knowing that I was running for a cause I’m directly affected by kept me motivated and pushing for the finish line. I would train with my husband and made sure I was eating healthy options and sleeping a sufficient amount. I started noticing the negative effect it would have on my body if I didn’t get enough sleep or ate the wrong food. Running is hard enough, but when you have a weakened immune system it can take so much more out of you. You need to have a certain level of mental toughness along with support to get through those hard times. Even though the training was hard for me, I absolutely loved being able to participate in a race that could not only bring awareness to this disease but also raise funds for a possible cure. I also liked being able to connect with others who have Sjögren’s. My family and I wore our Team Sjögren’s T-Shirts and as we were racing multiple people would comment about their friends, family or themselves being affected by this disease. Knowing that the Turkey Trot was bringing people together for a cause I believed in was a wonderful feeling. The initial thought of getting out there to run or walk in a 5K seemed like a lofty goal, but one of my biggest motivations was knowing that my family and friends were by my side. It was an incredibly uplifting experience to realize so many people believed in me and donated to my team’s fundraising efforts. I felt so proud of myself when I finished the race. I’m sure I could have run faster, but knowing I completed the race and made my family and friends proud was validation enough for me. Thank you Erin for sharing your story and stepping up for Sjögren’s by running again this year as a part of Team Sjögren’s Turkey Trots! This year, we hope you will also start your day of giving thanks by stepping up for Sjögren’s as a part of Team Sjögren’s Turkey Trots!